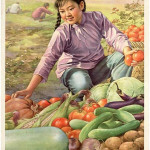 In the late 1950s, the Chinese people were decimated by a catastrophic famine. With its large population and volatile agrarian economy, China was no stranger to famine. Its agricultural productivity was easily disrupted and susceptible to climate events, natural disasters, population changes and military conflict. More than six million Chinese peasants starved during the upheaval of the warlord period (1916-27), while another eight million perished during the Nationalist period (1927-49). The Great Chinese Famine, as it is known, was deadlier than both combined. It began in late 1958 and lasted until late 1961. The causes and outcomes of the Great Famine are shrouded in mystery and subject to considerable debate. Though ostensibly caused by drought and weather conditions, the Great Famine was undoubtedly worsened by the communist policies. The death toll, which has been obscured by the Chinese government, is a matter of historical conjecture. The historical consensus is that around 30 million people died, though estimates range from 10 million to as high as 47 million. According to the government and the Chinese Communist Party (CCP), the Great Famine was caused by a string of natural disasters. Communist historiography refers to it not as the Great Famine but the “Three Years of Natural Disasters”. There are seeds of truth in this claim. In mid 1959 the Yellow River (or Huang Ho) flooded, causing thousands of drownings and ruined crops. According to government reports more than 40 million hectares (almost 100 million acres) of agricultural land were rendered useless. These floods were followed by a wave of further disasters: droughts, severe heat, more floods, typhoons, disease and insect infestations. In 1959 drought caused significant crop failures in Shaanxi (where output declined by more than 50 per cent) and Hubei (where it fell by 25 per cent). The following year Shanxi, Hebei, Shandong and Henan provinces suffered prolonged droughts, their production falling by more than half. China’s southern and coastal provinces also endured 11 major typhoons. In 1961 the northern provinces again suffered months of drought, while those in the south endured more flooding. While these disasters and climate events are confirmed by independent meteorological data, their real impact on agricultural production is a matter of some debate. Most Western historians agree that failed government policies and human mismanagement were more culpable than natural disasters. Frank Dikötter describes China’s starving millions as the “unintended consequences of half-baked and poorly executed economic programmes”. The British historian John K. Fairbank describes the heavy loss of life as “a Mao-made catastrophe… an all time, first class, man-made famine”. Even some of Mao Zedong’s contemporaries agreed. Speaking in 1962, the economic moderate Liu Shaoqi attributed the Great Famine to 70 per cent renhuo (human error) and 30 per cent tianzai (natural disasters). The massive structural changes and labour redistribution of the Great Leap Forward placed the farming peasantry under enormous strain. Several historians point to the fact that the adverse weather events were fairly localised. In 1959 only 9.6 per cent of farmland was reported as unusable by local officials – yet this became the worst year of the famine. Another factor in China’s slumping agricultural production were the theories of Trofim Lysenko, a Soviet agronomist. 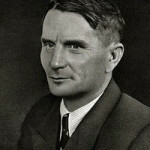 Just as Marxism hoped to reinvent society, Lysenko wanted to revolutionise farming by discarding existing knowledge in favour of new techniques. 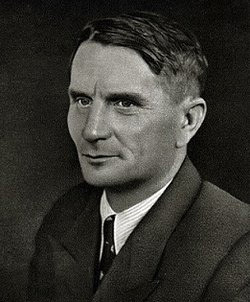 Many of Lysenko’s theories were flawed and his new agricultural methods did more harm than good. Lysenko had been largely discredited in his native Russia, however, Mao Zedong ordered collective farms to employ many of his ideas. Farmers were ordered to ‘close-plant’ (sowing millions of seeds of different species together in a small area) and ‘deep-plough’ (digging the ground much deeper to encourage deep root growth). Both these experiments failed and entire plantings yielded next to nothing. Farmers were forbidden to use chemical fertilisers and large amounts of land were left fallow, with poor results. Lysenko’s crackpot theories compounded the crop failures caused by adverse weather. With the state commandeering such high levels of grain, communes were left with insufficient food grain of their own. Some communes ignored the problem and maintained full rations, believing that things would improve or the government would send food relief. By the summer of 1959, however, food shortages had reached a critical point. Relief should have come at the Lushan conference (August 1959), where the ambitious targets of the Great Leap Forward and the over-reporting of grain production were both criticised by Peng Dehuai. Mao Zedong’s response was to attack his critics rather than relax his policies. In the countryside, meanwhile, the peasants began to starve. Many sought alternative food sources like grass, sawdust, leather, even seeds sifted from animal manure. 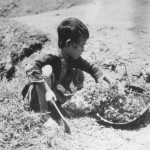 In Sichuan, thousands of peasants were forced to eat soil. Dogs, cats, rats, mice and insects were all eaten, dead or alive, until there were no more. Malnutrition, famine oedema (swelling) and the effects of vitamin deficiency became apparent. The birth rate plummeted as peasant women suffered increased levels of amenorrhea (absence of menstrual periods) and prolapsed uterus, caused by weakening pelvic muscles. Unsurprisingly, mental illness, hysteria and suicide were also common. Between two and three million people are believed to have taken their own lives during the famine years. One of the grisliest effects of the Great Famine was cannibalism. Nobody knows how often or how widely it occurred, however, there are thousands of different accounts of flesh-eating, both official and anecdotal. Police reports detail specific incidents of cannibalism. In Linxia, Gansu province, dozens of peasants were arrested in 1960, most for exhuming the corpses of their neighbours and eating them “to survive”. There were 1,289 cases of cannibalism reported in Anhui province that same year. Chang and Halliday tell of a husband and wife in Fengyang who strangled and devoured their eight-year-old son. Other parents exchanged children so they would not have to carry the shame of eating their own. Instances of cannibalism were severely punished by the authorities but continued regardless. There were also many cases of child abandonment, child selling and forced prostitution. Some starving peasants murdered their children, elderly relatives or spouses as an act of kindness, to end their starving misery. 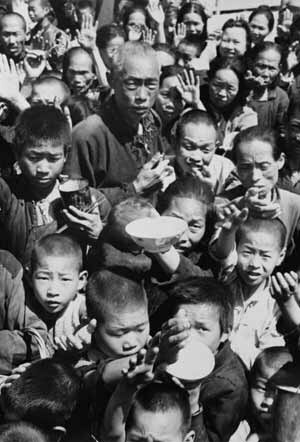 The CCP government concealed the extent of the famine, both from its own people in the cities and from the rest of the world. Food supplies in the cities also dwindled, causing death rates in some urban centres to double; the government explained this as an effect of natural disasters. After hearing reports of famine the International Red Cross offered food aid but this was refused by Beijing. China continued to export grain through 1959 and 1960, sending some seven million tons of grain offshore – an amount that could have saved as many as 16 million lives. The government suppressed all information about the famine. Movement out of affected regions was banned, while mail and other communication were prohibited or censored. 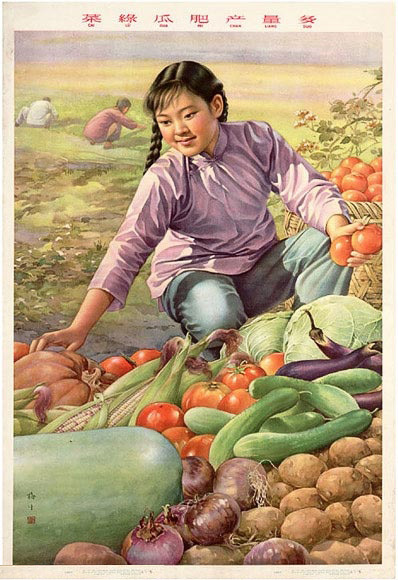 CCP propaganda posters continued to celebrate the Great Leap Forward by showing fertile fields, bountiful harvests and happy, healthy peasants. One state department produced a propaganda film suggesting that Chinese peasants were prospering, showing one commune with fat, healthy livestock and full granaries. The reality, of course, was starkly different. 1. 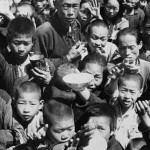 The Great Famine or Great Chinese Famine was a period of low agricultural production, food shortages and mass starvation in China, from 1959 to 1961. 2. The CCP government attributes the famine to natural disasters such as droughts, floods, typhoons and pests. While these undoubtedly contributed, human error and the flawed policies of the Great Leap Forward worsened the effects of the famine. 3. Some of the other causes mentioned by historians include the failed agronomic methods of Trofim Lysenko, over-reporting by both local officials and the national government, and the excessive procurement of grain by the state. 4. 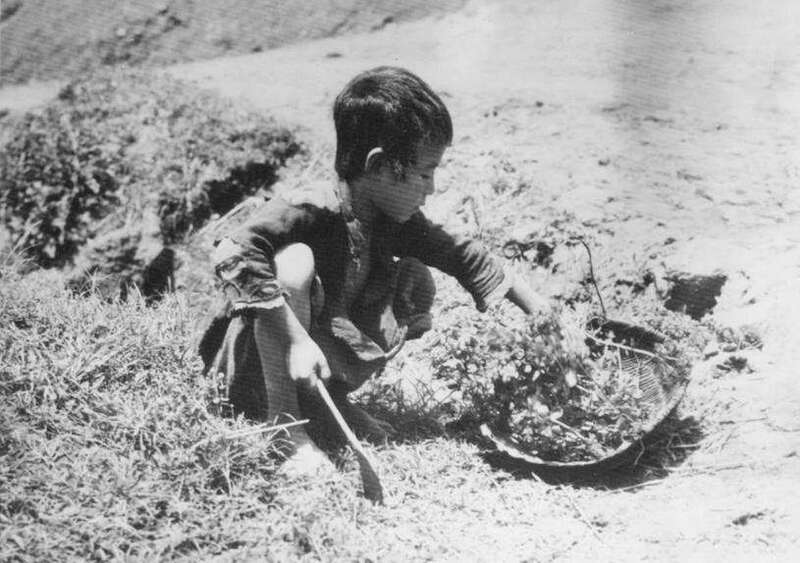 By late 1959 food shortages of critical and signs of famine were visible in many provinces. The peasants tried to survive by seeking alternative food sources and even resorting to acts of cannibalism. 5. The CCP government suppressed information and statistics about the famine so the total death toll has never been accurately calculated. The consensus is that around 30 million people died, though some historians have suggested as many as 45 million perished. G. Kucha & J. Llewellyn, “The Great Chinese Famine”, Alpha History, accessed [today’s date], https://alphahistory.com/chineserevolution/great-chinese-famine/. This website uses pinyin romanisations of Chinese words and names. Please refer to this page for more information. Alpha History’s website on the Chinese Revolution contains 200,316 words in 265 pages. This site was updated last on December 20th 2018.